The Al Fatih Academy in Virginia is one of about 270 Islamic schools in the U.S. The staff aim to give their students a well-rounded education and promote civic awareness. Like any good fifth-grade teacher, Mike Matthews wants to make his social studies unit on the American West as exciting as possible. So he's planning a special "Wild West" evening at the school with his students. "We're going to have good ol' cowboy-fashion hot dogs and beans, Texas Toast and beef jerky," he says. Matthews will tell stories around a mock campfire, and for added authenticity, the fifth-graders will set up a saloon. Of course, the saloon scene will be free of any references to alcohol, since the school — Al Fatih Academy in Reston, Va. — is an Islamic institution. The 55-year-old Muslim Youth Camp is taking on new meaning for today's new generation in the current political climate. Listen: What’s It Like to Be Muslim in America Today? 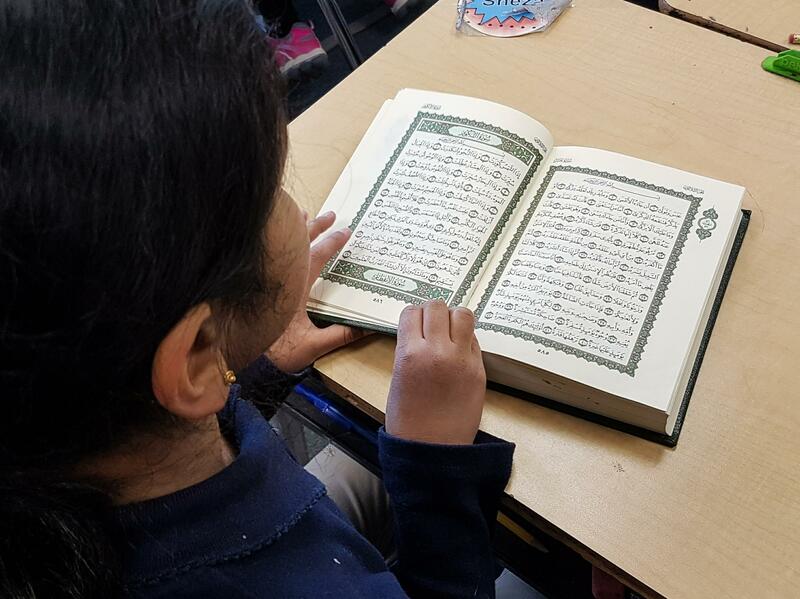 The government hopes to reform seminaries, which are often seen as places where students are indoctrinated with extreme interpretations of Islam. Experts argue the entire education system must change.